It’s been 14 years since Dyson unveiled plans to start work on a robotic vacuum cleaner and yesterday the news broke that Dyson’s first step into the next generation, the Dyson 360 Eye, would be presented in Japan. The British engineering company are joining an already thriving market of robotic vacuum cleaners, so what exactly are they doing to promote their own version? They certainly didn’t hold back, stating that their robotic vacuum cleaner possessed “more powerful suction” and a “unique” camera setting that made locating dirt all the more easier for the robot. Of course, not many robotic vacuum cleaners have come close to having a considerable effect on the mainstream market, but it seems that Dyson’s ability to live up to its word could change that. 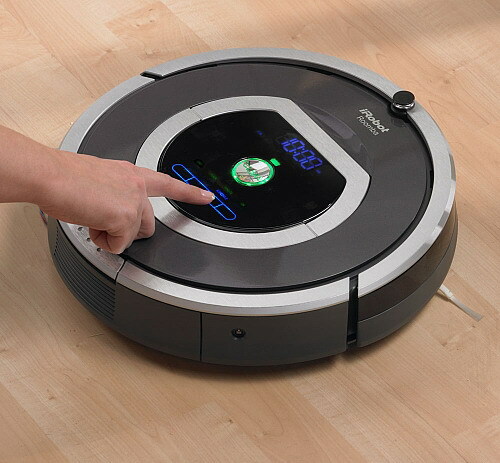 Not too long ago, we posted an entry here on our blog that covered the emergence of robotic vacuum cleaners, with our main point of focus being whether or not you should adopt one into your home. The truth is, with the inclusion of Dyson into the market, robotic vacuum cleaners could finally turn into the stalwart of the cleaning cabinet. So why haven’t they done so already? The majority of robotic vacuum cleaners up until this point have had more of an effect on the electronics market, which is not necessarily what Dyson are looking to achieve here. It’s clear that with the amount of functional and attractive features the Dyson 360 Eye possesses, they have looked to turn heads in the cleaning industry as well as have a significant impact on the electronics industry. The machine will be available in Japan in early 2015 and elsewhere later on in the year. The price of the new model has yet to be announced. If you’re after a deep carpet cleaning solution for your property or require in-situ curtain cleaning to deal with tough stains, get in touch with Apple Clean today and learn about our specialist domestic and commercial cleaning services in Kent and the South East.